It would be difficult to draw up a better start to the 2018-9 season for the Denver Nuggets. They’re 7-1. Included among those seven wins is a victory over the defending champion Golden State Warriors — the only win over the Warriors by any team at this point. The team’s perceived weakness, its defense, checks in at third in the league. Its offense, sixth in the league a year ago, is all the way down at nineteenth: they’re winning without firing on all cylinders. It’s the dream scenario. 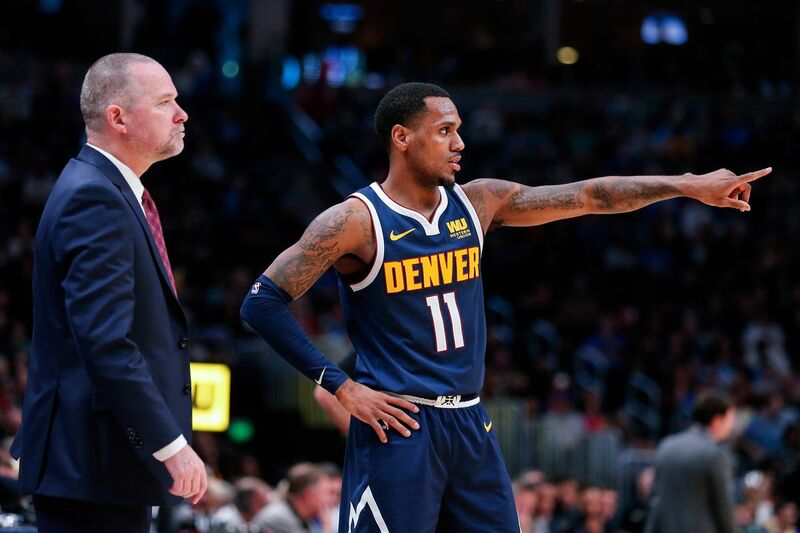 It’s not too early for Nuggets fans to get excited, and it’s not just the big picture that looks good: many indicators point towards their ability to sustain this success looking ahead. First, their performance on the road. A year ago, Denver was just 15-26 away from the Mile High City, with nine of those losses coming to non-playoff teams. Three of the four road games thus far have been against lottery teams from a year ago, and the only loss was to the Lakers, who are less likely to miss the playoffs again this year after adding LeBron James. Second, their young players have continued on their upward trajectories. Nikola Jokic continues on his march towards an All-NBA appearance. Jamal Murray has fought through an early leg injury and looks poised for a breakout season. Gary Harris has put up a 19-4-4 (points-rebounds-assists), and is firmly a Top-10 shooting guard, with a spot in the Top 5 on the horizon. Third, they’re doing this almost entirely without Will Barton. Barton came out firing to start the season, with 16.5-5-3 in the first two games, shooting over 50% from behind the arc, and then promptly injured the adductor muscle in his right hip, needing surgery and 5-6 weeks of recovery time. When he’s healthy, the Murray-Harris-Barton-Millsap-Jokic starting five is one of the most dynamic and versatile in the Association, and has the second highest net rating of any five-man group that has over 40 minutes of court time together this season. With six of their next seven games in Denver, the Nuggets have the chance to post a truly elite record coming out of the gates. Visitors include Utah, Boston, Milwaukee, and Houston, so the doubts that might accompany a hot start built on the backs of Phoenix, Chicago, and Sacramento (future lottery teams all) will evaporate if all four of the the finalists from last year — Golden State, Houston, Boston, and Cleveland — find themselves as notches on the Nuggets’ belt. Building a cushion also builds mystique. If they even manage a split with those four visitors, and can beat the non-playoff teams from a year ago — Memphis, Brooklyn, and Atlanta — Denver will have reached the halfway point of November at 12-3, their best record over fifteen games since Alex English wore the rainbow. Suddenly they’re a hot team — the kind to be feared when they roll into town. At a certain point, a team will find that they “are what their record says they are.” It’s a bit early in the season to know for certain, but if the next few games go the Nuggets’ way, it’ll be hard to say that they’re not one of the best teams in the NBA. This article was originally published here at OTG Basketball. How Irving and Hayward’s Return Affects the Celtics?